The NY forecast has predicted rain all week, so I have been getting plenty of use out of my Hunter boots. Normally, I'm not a huge fan of large patterns or floral prints, however when I saw this dress at the store last weekend I knew I had to have it. 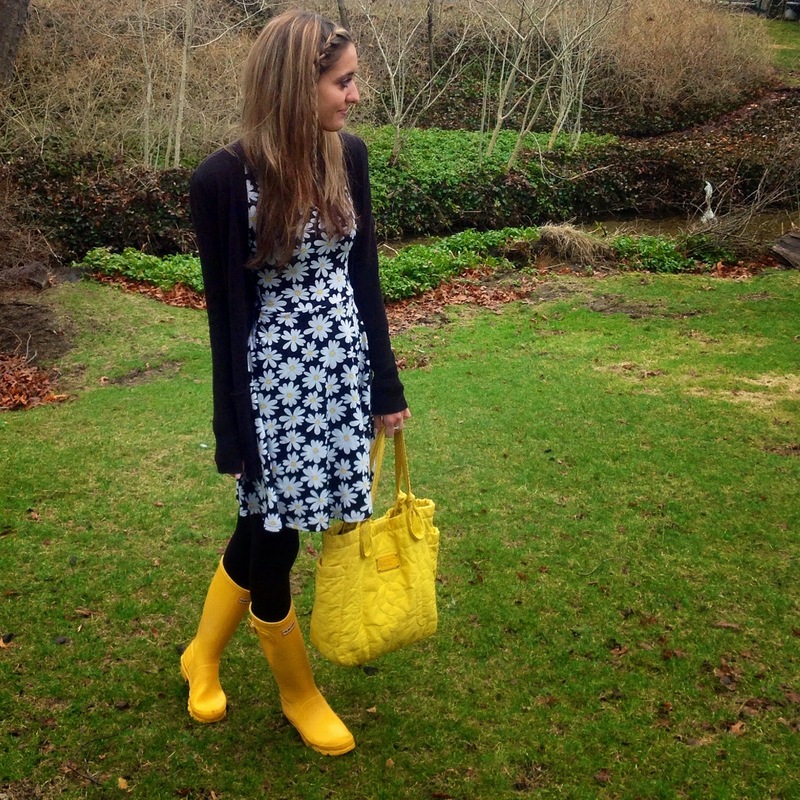 The daisy print is not only spring-like & fun (not to mention, matches my yellow boots perfectly), it also reminds me of my first pet, a cat named Daisy. She has since passed away, but I am still a sucker for anything daisy-related - especially the flower, or in this case, the pattern. Que ghulas las Hunter amarilas. Yo también las tengo y siempre que me las pongo tracatrá!